Chili Fest is just around the corner! 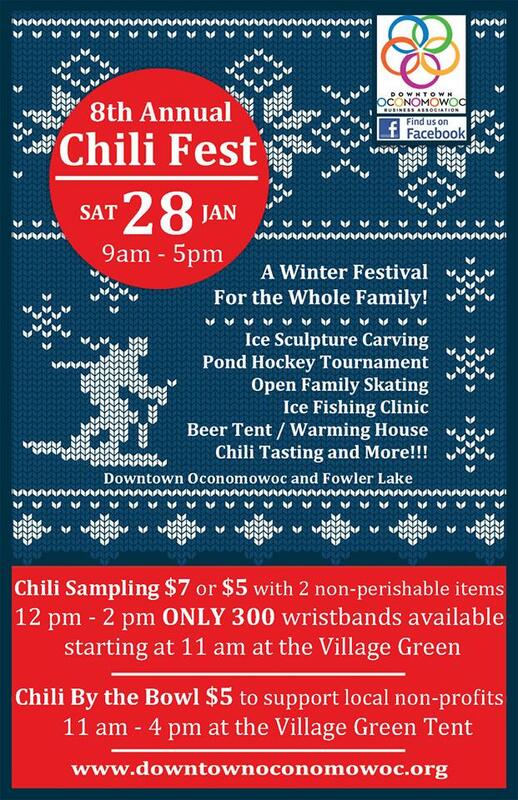 Chili tasting wristbands are $7 ($5 with 2 non-perishable items). Available starting at 11 AM on the Village Green. ONLY 300 WRISTBANDS will be available! New this year will be a "Chili by the Bowl" tent on the Village Green. For $5 you can support some of your favorite local non-profits and clubs. Visit www.downtownoconomowoc.org for more information about this great event!